JapanFloristShop.com is delighted to supply every visitor with the right to visit or use this website with limited access or license, which also doesn’t permit every visitor to download or modify this website or any part of it. Until and unless our website present the written acceptance, any visitor or user of our site is not authorized to engage themselves in whatever form of business oriented activity such as the usage, sale, resale copy, duplication or make a replication of this website or any contents of it, the usage of Logos or Trademarks or other info such as Texts, Images, Page Designs, Forms, Programs, Hidden Texts or Meta Tags used by JapanFloristShop.com or related to this website or its business associates, any collection, copying or downloading of account details or product details such as costs, contents and other illegal activities such as usage of robotically programmed software and data mining tools for data extraction with the intention of endorsing commercial benefit of other business entity or group. If we find anything suspicious or illegal activity or even any such intention to do so by any user of this website, we undoubtedly enjoy the authority to cancel the right or limited license which we give you to visit or use this website. In order to use some parts of the Website, you may need to create an account. You must never use another Website user's account without obtaining their prior consent. You must provide full and accurate information when you create your account with us. You are solely responsible for the activity that occurs on your account, and so we suggest that you keep your account password secure. You must notify us immediately if you are aware of any unauthorized use of your account. We also sell the products for children and they can visit or use this website but only adults are allowed to carry out the procedure of purchasing the products. We have the complete authority to terminate your account, deny any kind of service or cancel your order any time if we feel that it would be appropriate to do so. If the payment for the product delivery has not been cleared by the customer in that case payment may be collected from the recipient within a due notice period given to the customer. If the delivery fails after being attempted due to any wrong contact given by the customer in that case the customer might be charged for that. Here in our website each and every delivered product is subjected to the confirmation and approval of customer’s credit card. IDue to any unavoidable circumstance, if the processing of the Credit Card gets delayed or the delivery gets postponed, we will serve a notice to the customer and make the delivery on the next suitable date but without taking any consent from the customer. We are also unable to alter the order or any part of the order on the day before the delivery date. Japanfloristshop.com reserves the right to refuse delivery of whatever order without specifying any cause, however full refund of money is assured to the customer in such a case. All the visitors and users are welcomed to submit their reviews, comments, suggestions, feedbacks or queries about JapanFloristShop.com or any content of it. But the visitor has to make sure that his/her reviews or comments are genuine and not abusive, unlawful, hostile, derogatory, interference with privacy, disobeying the intellectual property rights, detrimental or offensive to any third party nor do they circulate computer viruses, political messages, business entreaty, chain letters, bulk emails which are usually considered as spam. All kinds of usage of fake email accounts or names, representing any other individual or group or misleading to any false location or source, are strictly prohibited. Japanfloristshop.com and its associates also retain the non-exclusive and royalty-free right of using the reviews and comments with same names, publishing, translating, spreading, replicating and showing all the reviews and comments on all kinds of media networks around the world. You are accountable and liable to whatever you have posted as reviews or comments on our website and if such reviews or comments end up disturbing somebody else and thus that person or entity want us to face the consequence holding us responsible for your reviews or comments. We are not to be blamed or hold answerable for any content of your reviews or comments nor do we have the time or intention to analyze the reviews or comments time and again but if we find such one, we have the right to modify or remove it. The Terms and Conditions of Use shall be governed without reference to the conflicts of laws principle, by the state laws where the Registered Office is located. The policies and Terms and Conditions of Use on this website contain total agreement between us and substitute any other advertisements or communications with respect to the website of JapanFloristShop.com. The disclaimer of violation of any term hence shall in no way be constructed as a disclaimer of any other term or violation. Agreeing to these Terms and Conditions of Use warranties and represents a person and he gets the authorization to bind and does so bind his/her employer or principal and to enter these Terms and Conditions of Use he gets enough legal capacity. Without the prior written permission of JapanFloristShop.com one may not apply these Terms and Conditions of Use or any commitments or rights hereunder, directly or indirectly, by operation of law or otherwise. 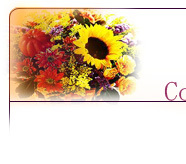 These Terms and Conditions of Use and rights may be assigned to any entity by JapanFloristShop.com. As subjected to the prior sentence, the Terms and Conditions of use shall be accustomed to the gain of and be binding upon the parties and their individual successors and granted assigns. It is strictly prohibited to use the website of JapanFloristShop.com for sending unsolicited advertising, promotional material, or other forms of solicitation to other users, except in specialized areas, if any, that are meant for such a purpose. The images, graphics, texts, logos, button icons, audio clips, digital downloads, data compilations, software and all the contents shown in this site is the property of JapanFloristShop.com and its suppliers and is protected by international copyright laws. International copyright laws also protect all the software provided on this site which is the property of JapanFloristShop.com or the suppliers of its software. The trademarks and trade dresses of JapanFloristShop.com, without their prior written approval may not be used. Trademarks that appear on this site but do not belong to Japanfloristshop.com are properties of their respective owners, who might or might not have the affiliation, sponsorship or connection to JapanFloristShop.com.